California’s dense population and development makes it a hub for railroad carriers. The thousands of miles of railroad tracks sprawling out in all directions, cutting and intersecting across streets and roads creates another potential for danger. These intersections provide an increased danger to drivers on the roadways and accidents at railroad crossings and roadways. The sheer size, weight and speed of a train can cause a great deal of damage and even cause fatalities. In any car-to-train collision, the car usually suffers the most damage and destruction and loss of life. If you or a family member is injured in a train related accident, passenger or bystander the personal injury attorneys at the Law Offices of Michael A. Fiumara will advise you of all of your legal options to secure full compensation for your medical expenses, property damage, and pain and suffering that you may incur. The Law Offices of Michael A. Fiumara has the resources and more than forty years of combined legal experience to help you achieve full and fair compensation for your personal injury claims in train accident cases. Our law firm employs experienced train accident injury attorneys, who not only pursue your full compensation from the liable and at- fault parties for all the costs incurred, but finds qualified doctors and medical providers to treat your injuries while we fight in court for your lost income, pain and suffering and other reimbursable costs. If negotiations with the liable party and their insurance provider are not producing a fair and equitable settlement for you then we will zealously and aggressively pursue your civil claim through the courts to achieve full compensation. Generally, most train accidents appear to be the fault of impatient motorists who cross the railroad tracks at the wrong time or fail to abide by the signals and crossing gates. Other times train accidents are the result of the negligence of the train operators who are distracted or under the influence of narcotics, pain prescription medication or some illegal substance. Other times the poor maintenance of the railroad tracks and other equipment is the main cause of the railroad or train accident or train derailment. However, many train track accidents occur at the hundreds of railroad crossings that crisscross the North Bay and have become a frequent scene of train accidents and mishaps. Malfunctioning or nonexistent warning signs. Trains traveling at unsafe speeds. Trains carrying faulty equipment which increases the likelihood of collision. Objects placed on the tracks including falling debris or trees. One category is accidents involving a single freight or passenger train and the other are those involving motor vehicles. Railroad accidents can occur solely as rail car accidents. These accidents often involve rail derailment, equipment failures, and hazardous materials. For the passenger rail cars that are involved in these types of collisions or accidents, the results can be devastating and injuries very severe. The expense to treat your train accident injuries can be enormous depending upon the severity of the injury and the necessary treatment. Medical costs begin to accumulate with the arrival of the EMT’s who provide emergency treatment and transportation to the local hospital or regional burn center. Sometimes a patient needs to be airlifted to an urban hospital at great expense. Treatment does not stop until the train accident victim is completely rehabilitated through a long and lengthy process depending upon the injuries. It is imperative that you contact the highly skilled and experienced attorneys at the Law Offices of Michael A. Fiumara who will work hard for you to secure the protection of your rights and restoration of your health during the difficult times following a train accident or wreck. Train accidents and railroad mishaps that occur at railroad intersections and crossings are the most common railroad accidents. With the disparity of size and weight between motor vehicles and trains, these accidents are often nothing short of disastrous which, unfortunately, result in catastrophic injuries and fatalities. Conductor error often accounts for some of these intersection accidents, but a fair percentage are caused by malfunctioning traffic signals obscured signs and other factors that need to be weighed very carefully.Drivers are blamed for a high percentage of these accidents. Our law firm employs top-notch investigative services to collect evidence that will support your allegations of negligence. The law firm has ample reserves and resources to hire the best train and accident reconstruction experts and also securing witness testimonials to substantiate your version of events to better explain the details of the accident to a jury if that is required. The firm also gathers testimonials from medical professional which document the extent and duration of your required medical treatment that will allow for the appropriate monetary compensation to be allocated for payment of all of your medical expenses. The window of time available to take legal action following a train-related accident is minimal, especially with the convoluted process of filing claims against government and commercially owned train lines. It is essential that your personal injury attorney is experienced with the filing process specific to train-related accidents within the State of California because the government tort claim process could become a barrier to your timely filing. The shortened statute of limitations could preclude you from filing a valid claim. Hence, it is advisable to hire the highly skilled and knowledgeable train accident attorneys from the Law Offices of Michael A. Fiumara. Whether you are the victim of a train-related accident or railroad mishap resulting from the negligence on the part of the train operator, product and manufacturer liability, malicious intent or wrongful death, you may be entitled to financial compensation for your injuries and damages. In developing a train-related personal injury lawsuit, it is important to thoroughly determine liable participants and the exact cause of the accident right from the beginning. 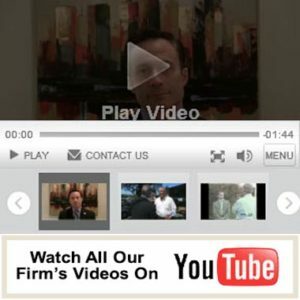 While we favor negotiations as the preferred way to reach your goal of full compensation, if a fair compensation package cannot be arrived at the highly skilled and knowledgeable attorneys at the Law Offices of Michael A. Fiumara are prepared to pursue every legal course of action against all liable parties to ensure you a favorable a full compensation package is awarded to you. When it comes to train accidents, we use our knowledge and familiarity with the government tort claim process along with our unique knowledge of the Federal Railroad Administration Safety and Health Regulations to strongly build your case from the very beginning with top notch respected experts. We will do whatever it takes to win whether your case has to be resolved in a settlement, mediation, arbitration or requires an aggressive litigation team at trial. Our representation of your train accident injury case is performed under what is termed a contingency fee arrangement which requires no upfront payments by you. Our law firm is paid only after we WIN for you. We earn no compensation until an acceptable settlement has been either negotiated or won at a jury trial! Therefore, you can focus on your rehabilitation and medical treatment instead of worrying about the stress and the complex legal system that can become a barrier in obtaining full compensation. Our personal injury attorneys know how to break down barriers and reduce your stress.